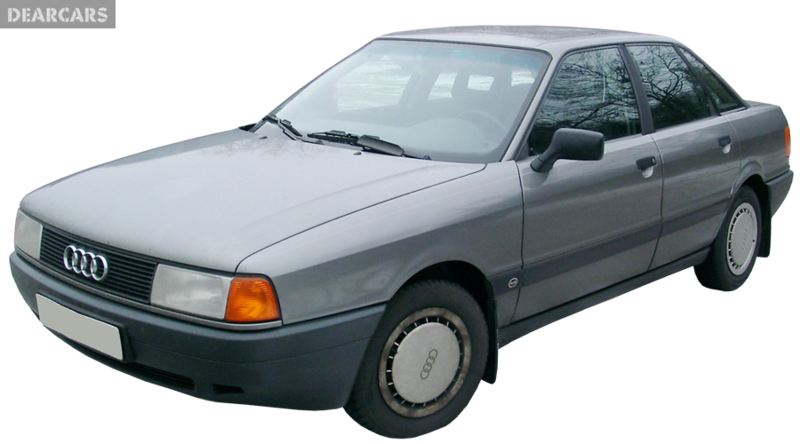 Audi began production from 1986 of autos type 80, modification CE 1.6 and finished it in 1986. The weight of the car is 0.9 tn and a length of 4.4 meters, It is formed as sedan with 4 doors, and can be fit in 5 person with a driver. «80 CE 1.6» is a front wheel drive automobile with a 4-speed manual transmission. The 4-cylinders petrol engine with «carburetor system» can generate output 75 hp at 5000 rmp, allowing you to accelerate the car in 13.1 seconds to 100 km/h and obtain maximum speed of 163 km/h. Intermediate fuel consumption is 8.3 liters per 100 kilometers. Fuel tank volume is 68 liters of petrol, what allow you to drive approximately 820 kilometers without refueling. The forward wheels of this automobile have disks brakes and fixed to the undercarriage with help of suspension type «MacPherson, independent, coil springs» and equipped with anti-roll bar. Back wheels have drums brakes and attached to the underframe with help of suspension type «Rigid, coil springs» and equipped with anti-roll bar. Tires have the next dimensions - 165SR13. Audi 80 is not examined for Euro NCAP crash test. This auto does not have active and passive safety systems. Fiat Argenta 2000 2000 i.e.